The German government cut its 2019 GDP forecast for the second time in three months on Wednesday, amid a worsening slowdown driven by a recession in manufacturing. As David Pollard reports, the forecast came a few hours after better-than-expected Chinese growth numbers. A bumpy ride for Europe's economy... ... on a day that saw trade tensions with the US go up, but Germany's official economic forecasts go down - to exactly half what they were in January. (SOUNDBITE) (German) GERMAN ECONOMY MINISTER, PETER ALTMAIER, SAYING: "The German government is expecting growth at 0.5 percent for 2019." A slowing world economy, trade disputes and Brexit uncertainty weighing on German output. Though next year should, Altmaier added, see a pickup to 1.5 percent. In the meantime, the prospect of a trade war came further into view. 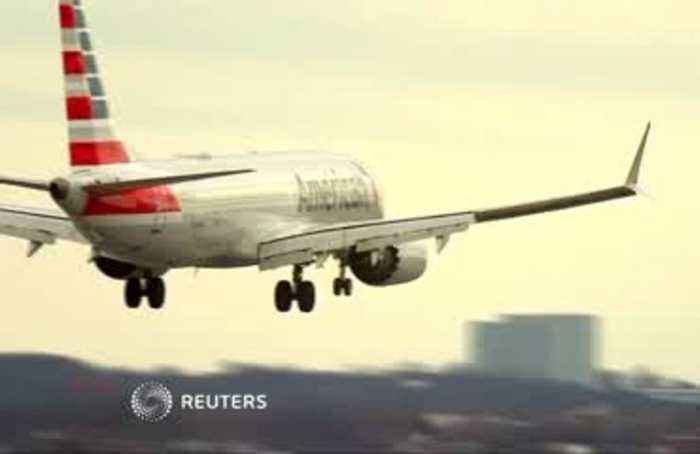 Handbags, tractors, shovels, and fish are part of an 11-page list of U.S. imports the EU announced it could hit with tariffs in a row over aircraft subsidies. (SOUNDBITE) (English) EUROPEAN COMMISSION SPOKESMAN, DANIEL ROSARIO, SAYING: "Overall, the list represents an amount of roughly 20 billion United States dollars of exports from the United States to the European Union." For better news, look east to China where data on this occasion didn't set off red alerts. 6.4 per cent GDP in Q1 topped forecasts. Though analysts warn it's too early to call a clear recovery. And China itself has caveats. (SOUNDBITE) (Mandarin) CHINESE NATIONAL STATISTICS BUREAU SPOKESMAN, MAO SHENGYONG, SAYING: "Externally there is quite a lot of uncertainty, and real economic growth, including the growth of international trade, is slowing. This is putting a certain amount of pressure on us." As well as pressure on Japan. Its China-bound shipments fell again in March - exports in volume terms were down nearly six per cent year on year. The slump may have caused capital expenditure to drop sharply and private consumption to ease, according to one analyst. 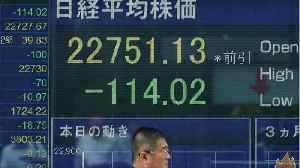 As a result, he said, Japan's economy is likely to have contracted in Q1. 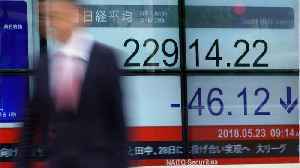 Weak manufacturing surveys from Asia and Europe stoked fears of a widespread slowdown in growth on Thursday. 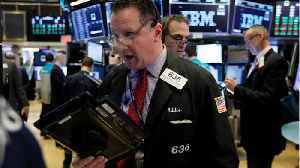 But, as David Pollard reports, Brexit appears to be doing little to dampen..
LONDON (Reuters) - Stock markets rose on Tuesday to new six-month highs after reassuring data about the health of China’s economy and economic sentiment in Germany helped investors brush aside.. 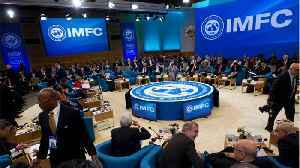 According to Reuters, global finance officials on Saturday said that trade disputes and tighter financial conditions are among the top threats to a slowing world economy, urging countries to take steps.. 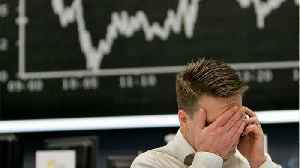 The German government is set to halve its 2019 growth forecast for Europe&apos;s biggest economy, a government source told Reuters on Friday, reflecting a worsening slowdown led by a recession in..
SHANGHAI (Reuters) - Asian shares weakened on Friday as trepidation ahead of the start of the U.S. corporate earnings season and underlying anxiety over the global growth outlook eclipsed some..
TOKYO (Reuters) - Asian shares slipped from eight-month highs on Wednesday as the International Monetary Fund lowered its global growth outlook and as the United States and Europe locked horns over..